And while all this was going on, I was in Ireland, or America, living in blissful ignorance. 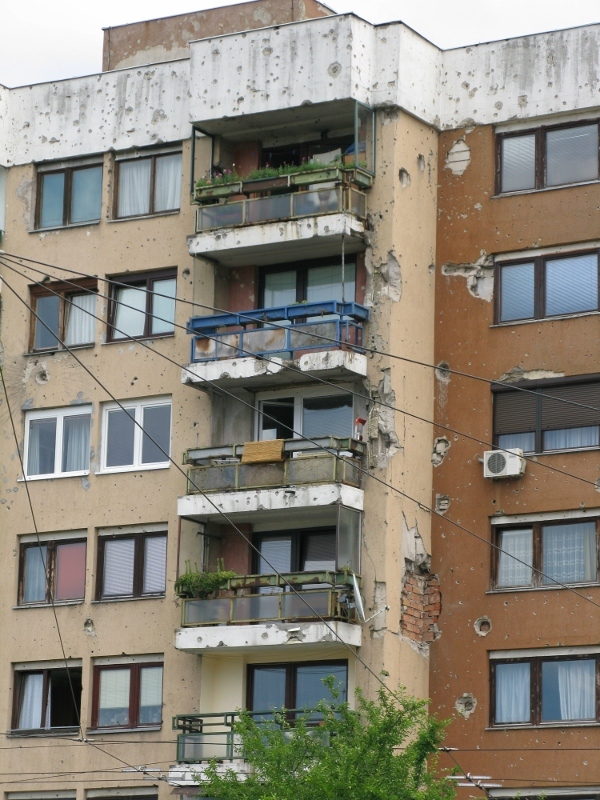 A mate of mine went to Bosnia with the UN so the war touched me briefly. He is remarkably reticent about his time there yet I know the friendships he formed are deeper than most. A shared experience will do that for you. He tells a story about the Irish lads being particular about how their meat was cut. One of them, the son of a butcher, showed one of the locals how to cut steaks to satisfy the Irish and their peculiarities. A friendship of sorts ensued and some time later, when their barracks was blown up, the Irish boys had been forewarned. In the centre of t he city, there are visible sides of the efforts being made to put the past behind. Buildings are being renovated. Bullet holes are filled in and plastered over, waiting for a new coat of paint. If only it were as easy to renovate people and their attitudes. There are large numbers of Muslim Turks studying at the three universities, opting to live in a country where as women they can openly wear signs of their religion. There is a Serbian quarter, too, complete with cyrillic signs. But there are no Bosnians. ‘Under the post-war Constitution, constituent people citizens are identified as Bosniaks (known during the war as Bosnian Muslims), Croats, and Serbs. 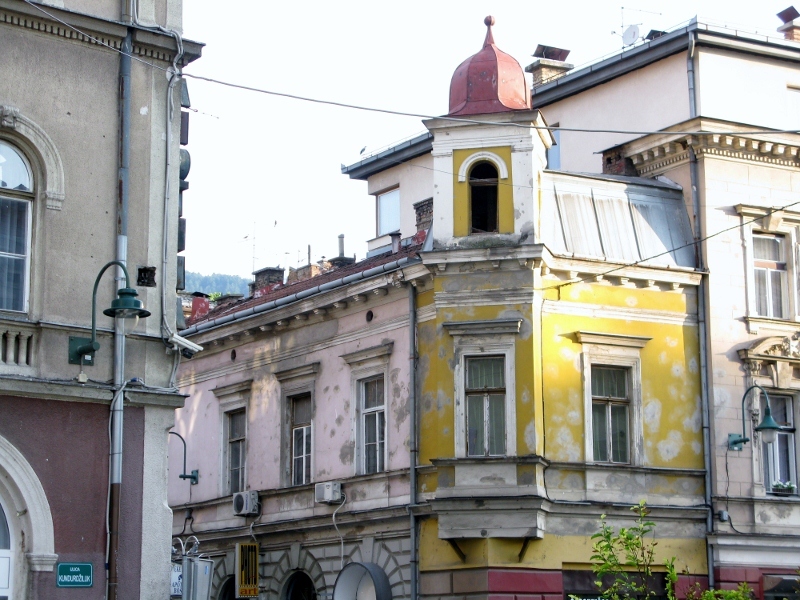 There is no space for Bosnia’s minorities’, or so says a Refworld report published in April this year. On another forage through the web in a vain attempt to sort out the mess that Sarajevo has left in my mind, I came across this quote by an American painter LG Hornby (Balkan Sketches: An Artist’s Wanderings in the Kingdom of the Serbs (Boston, 1927), p. 153) w ho arrived in Sarajevo in 1925. 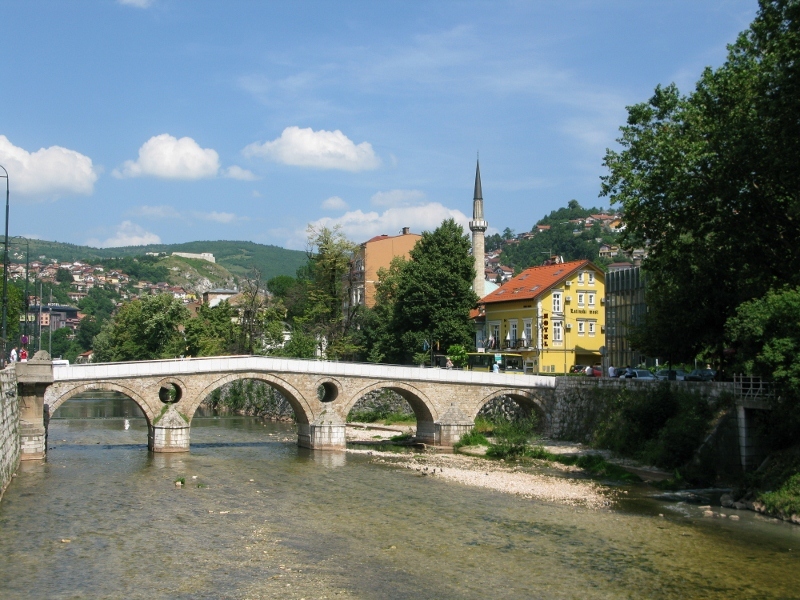 There is a beauty to Sarajevo that is found in the mix of the Ottoman and the Austro-Hungarian empires. Despite its scars, it is has an innate strength that speaks of tenacity and perseverance. In just two days, it burrowed its way into my heart and left a lasting impression on my soul. I’ll be going back – this time for longer.